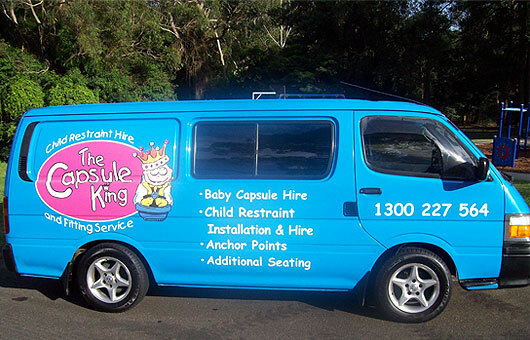 The Capsule King is a Child Restraint Sales , Hire & Child Restraint Fitting Service, authorised in NSW to professionally install child restraints & anchorage systems. We offer both a Mobile Service to all areas around Sydney as well as our Store Fitting Service based in the Northwest of Sydney at 3/10 Anvil Rd Seven Hills. We come to your home, workplace, the hospital, or wherever you need within our service area, or you can come to us at our store. Child Restraint Sales & Fitting : We can supply & fit any Safe N Sound Restraints to your vehicle. Call us for very competitive pricing. 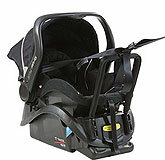 Child Restraint Hire & Fitting : We can supply & fit one of our Hire Restraints to your vehicle. A Variety of Capsules & Restraints are available to suit your needs. Various terms available. Child Restraint Fitting : We can install your Child Restraints at a location that suits you or at our store in Seven Hills. We help you select the best location for the restraint, fit it properly for you, and take you through how to use it & adjust it. You will be given an Authorised Certificate to state that your restraint has been properly installed. The Capsule King is a complete Child Restraint Sales , Hire & Restraint Fitting Service, capable of conducting all aspects of an Authorised Child Restraint Fitting Station. Sales & Installation of all Safe N Sound Child Restraints - Baby Capsules, Toddler Seats, Booster Seats that meet Australian Standard AS1754. The Mobile Service Vans operate all over Sydney, and its surrounding suburbs. Call us on 1300 227 564 if you are not sure. The Capsule King conducts Child Restraint Fitting Services at a number of Baby Store locations. This is provided as a service to the store & the stores customers primarily, but is extended to all people who need the service. Fittings are by appointment only & should be booked in through the relevant store. A schedule of Stores, locations, days & times is available on our Stores page.